Discussion in 'News & Announcements' started by CM Servantes, Aug 11, 2018. The long awaited 2018 Remastered Black Desert Showcase was held in South Korea on 8/11 (Sat). Black Desert took a major leap forward! Aren’t you dying to find out what was revealed during the showcase? We’ll give you an overview of what was announced during this event! 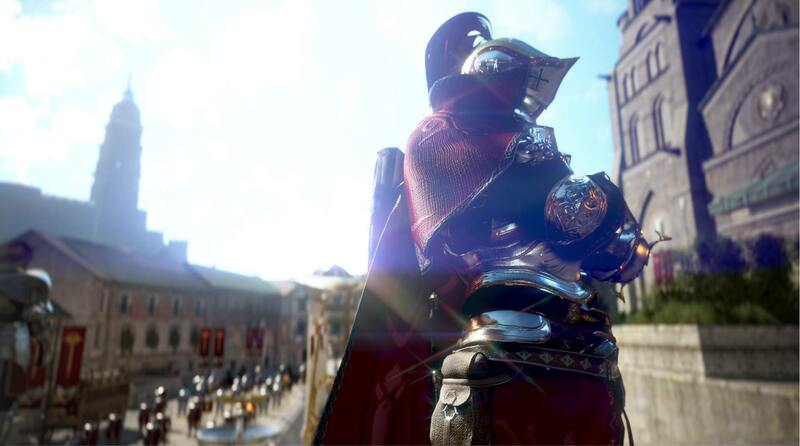 Black Desert has always received praise for its graphics. However, we were not satisfied. We have improved the graphics to show more details and feel more realistic. The fruits of our labor are listed below. Shall we glance over what was shown during the showcase? The materials look much more realistic due to the use of Physically based rendering. Based on the law of conservation of energy, light that reflects off of NPCs will look much more realistic. Physically based rendering works together with multiple effects and processes to give you the quality of the following images. Look forward to GM Note - Remastered Graphics. It will be coming out next week for additional information about the Remastered Graphics. More than 220 soundtracks that go over 660 minutes total. 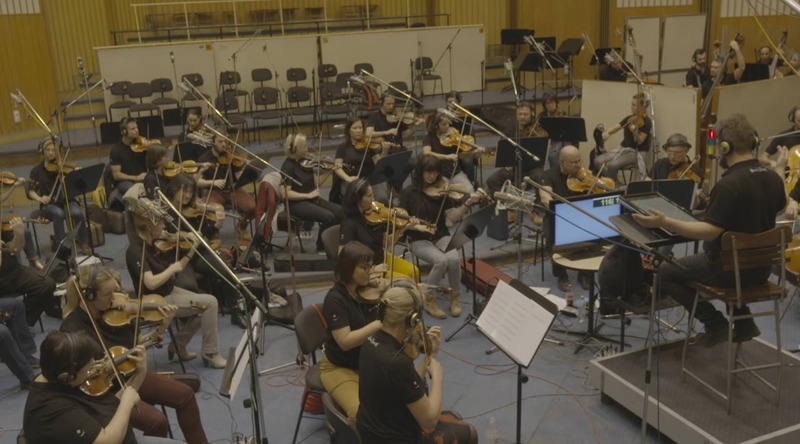 The soundtracks in Black Desert are focused on allowing Adventurers to get fully immersed into the game. Various instruments and genres were used to match the varying situations and themes in the Black Desert world. The atmosphere and world of Black Desert were expressed with soundtracks that felt heavy and mellow. It was to the point that some of our Adventurers told us that the NPCs in Black Desert all seem depressed. So we decided to transform the black and white music in Black Desert to full-color. Adventurers will be able to experience the difference in sound due to the improvements mentioned above. GM Note - Remastered Audio will explain in detail about the remastering of the soundtracks when its updated. There also was a presentation made by the executive producer J about the future update plans for Black Desert. Let’s go over some of the key points he announced. Not so long ago, we went on to tweak the Black Spirit's Rage Meter. Our newly revamped Rage Meter will allow our users to pursue diverse strategies and tactics via a number of Black Spirit Skills that will soon be available to users. Previous Black Spirit Skills could only be used with 100% or 200% rage. Now, there will be options to input commands and use Black Spirit skills with 10%, 25%, 50% rage. We expect this addition will allow you to make according adjustments to your combat experience whether it be to fight monsters or to engage in a PvP. Let’s use Warrior as an example. The following skills will be upgraded by the expansion of skill for the Black Spirit, Pulverize at 10%, Merciless at 25%, and Slashing the Dead at 50%. When using Pulverize with the Black Spirit's Rage, hit count and range will be increased. Merciless will also have the same effect with additional buff and debuffs. As for Flow: Slashing the Dead, hit count and range will slightly increase, and its Bound effect, which was only for PvE, will now also be applied in PvP. Since the launch, we have received feedback regarding the game difficulty being too high, hence we have constantly been nerfing the monsters. However, as the basic stats of the characters were being buffed, the monsters ended up becoming far weaker than they were intended to be. Due to this, people were able reach level 50 or even awaken their characters without feeling like they’ve accomplished much, especially in regard to defeating the monsters. The situation would only worsen with the Black Spirit quests leading you towards a single path. So, the stories in each region will be changed to branch out, and the monsters’ difficulty will be re-adjusted. Of course, these changes won’t mean much to you if you’ve played the game for a long time since these changes only apply to the earlier stages of the game. Still, if you create a new character to level or for people that are trying Black Desert for the first time, it will feel different from the previous Black Desert. We’ve started developing Ordilita, which has a release date set for some time next year. Although Ordilita was once a part of Kamasylvia, it is now an area occupied by the Ahib who have built a fortress in region. The region is covered in darkness as its nights are long and the region receives barely any sunlight. Doom, the new Dream Horse, is expected to be released with Ordilita as a continuation of our long line of Dream Horses including Arduanatt and Diné. Doom is a Dream Horse with strong offensive abilities that seemingly to present towering flames. It has a powerful fire skill that allows you to instantly set your enemies ablaze. The new class regards none other than a Male Ranger, a class that has gained the attention of many of our users in Korea but overseas as well. Developments for the new class are progressing smoothly and the Male Ranger is set for release during winter this year. The Male Ranger will use a weapon in the form of a crossbow and will equip magic gloves as its sub-weapon. Although the Male Ranger Class will have a slower attack speed than the existing Ranger Class, you will find that they are more than capable of delivering some hefty attacks. We strive to create and implement new contents never seen before in Black Desert. Out of those, Sniper Mode is a new system that will be added into hunting. It’s a new mode for hunting animals that have sensitive ears and noses, disabling you from getting close enough to shoot them with normal matchlocks. With this new mode you will be able snipe these particular animals from a distance before they notice you and run away. The mechanics are fairly simple. Activate Sniper Mode from far away, aim, and fire. However, your hunting skill level will affect your ability to aim, the steadiness of your breathing, and the accuracy of your shot in the minigame. You can try the new Sniper mode, which moves away from the previous simple patterns of hunting, on the Global Lab servers. 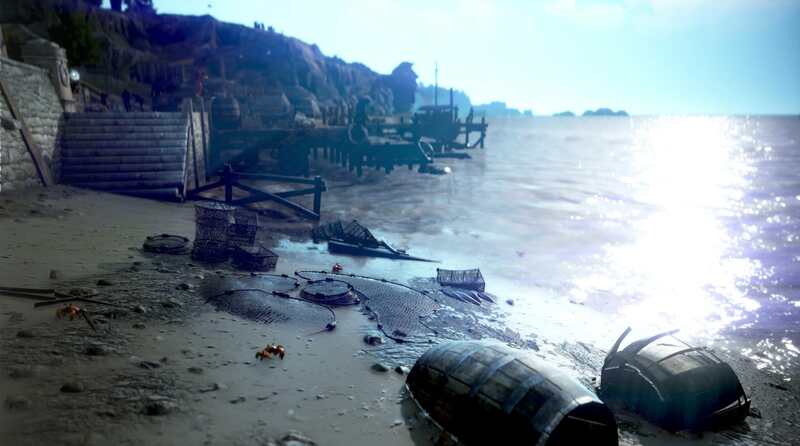 It will be released on the live servers after its full development. A new system for your alternative characters are also in development. It may seem similar to the system where you send out your workers to work. While workers were sent to gather and bring back resources, Militarized Subjugation will allow you to send your characters, along with an army of mercenaries, to hunt and bring back rare items that you would usually obtain from monsters. You can strategically use the forces for various rare items or items that you need. You’ll be able to get better results if you have stronger characters and mercenaries. 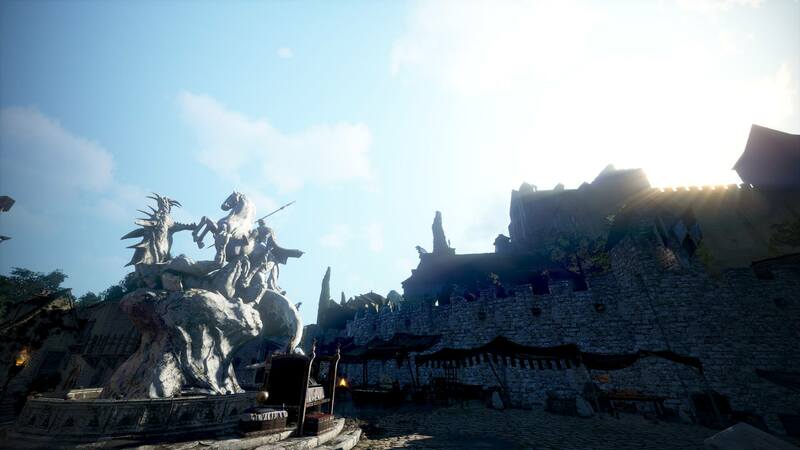 The Marketplace has always played a very important role in Black Desert, but has been without any big changes for a long time. Therefore, we are developing a new marketplace that will be closer to the ideal of free market economy. The new marketplace will have a virtual account and will require you to deposit your silver and register your items, in order to trade. In order for you to purchase or sell an item, you will need to input a price within the market price range. If the item is available for that price, it will be purchased instantly. If the item isn’t available, it will only be purchased once someone registers it at your price. Additionally, we expect the new system to resolve some of the issues of the current marketplace. Once fully implemented, we will start preparing a smartphone app that will allow you to sell and buy items anywhere, at any time. We will continue to change and grow. 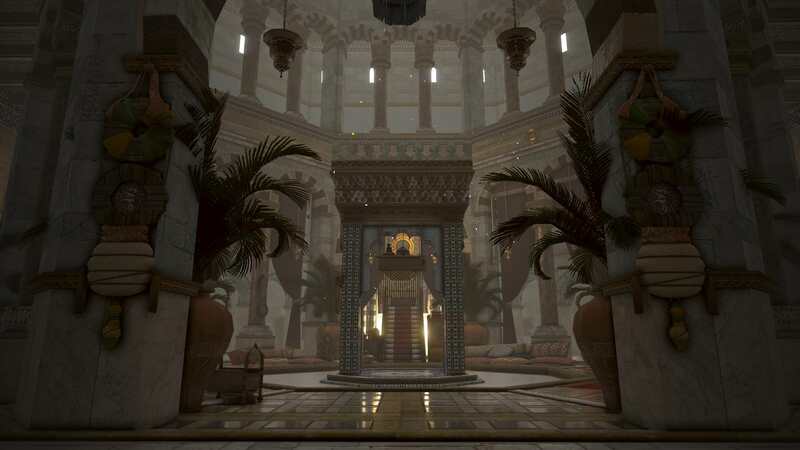 Some of the updates will be completed soon, while other large-scale developments like the war between nations will probably be released next year or the year after. We won’t stay complacent as we understand there’s still much more to be done and will continue to do our best to develop and grow. We will continue the journey to create the most exciting Black Desert experience with all of our users through the continued talks and monitoring of game play. ※ The updates announced during this showcase are based on the KR server. The updates may vary depending on each server. 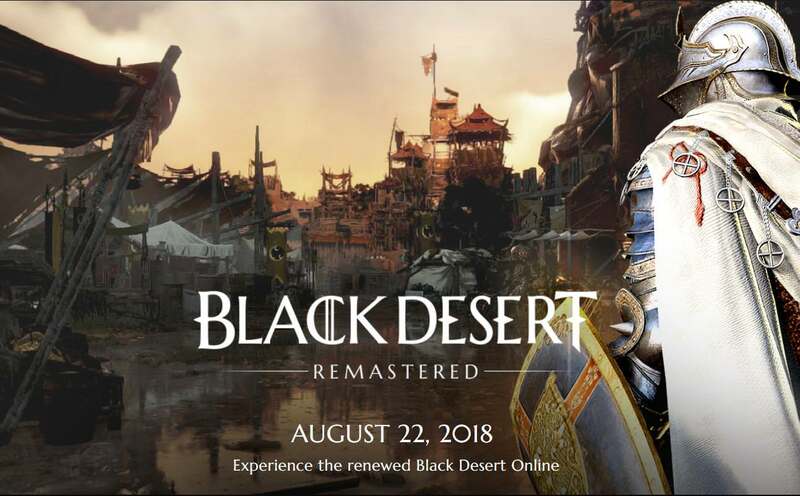 Black Desert: Remastered Update will be released on 8/22 (Wed)! 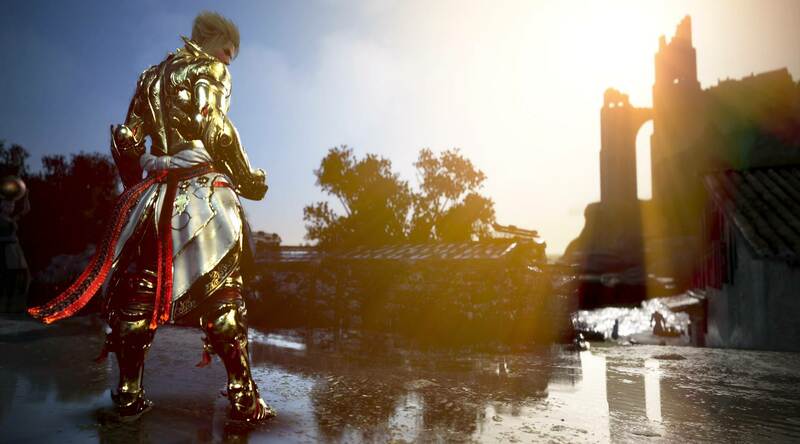 This is the rebirth of Black Desert with its realistic graphics and vivid sounds! In celebration of the Remastered Update, all Adventurers will be given a Tier 7 Horse Emblem and Golden Horse Gear Set during the event period. 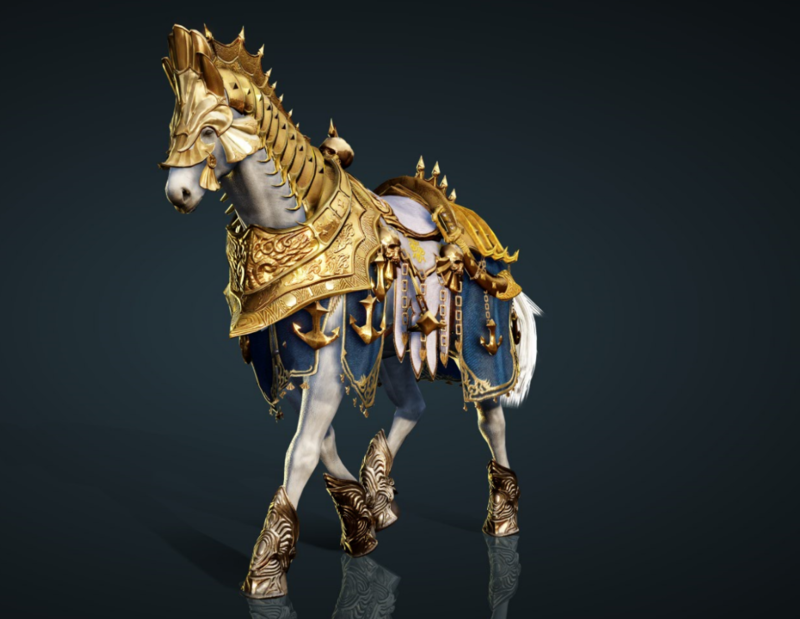 Experience the even more realistic Black Desert world with your Tier 7 horse equipped with the Golden Horse Gear Set! Not only that, we promise to come back with new updates to allow you to go on epic adventurers in the future. You can look forward to it! Neoyoshi, Sebastianz, Jezzy and 42 others like this. Mana_Mafia and Dan Hot like this. Sooo when does this come to NA since the update is based on kr schedule @CM Servantes ? Nice but Class Balance wen ? Mana_Mafia, Poldarn, Kusaragii and 1 other person like this. Why PA don't showcase moving away from FPS based mechanics ? Why PA don't show damage number ? This what changes we need, not improving sounds and graphics. Deadly_Poison and Soulo like this. On August 22th we will launch the graphics and sound remastering, the other things mentioned during the showcase will come at a later stage. Xero.Exe, Mal'Ganis, XLucaX and 20 others like this. We don't even have drieghan or W/e yet and they are sitting here flaunting a new area. Wtf? Why show us this? If it comes next year to KR, it's 3 years away from us right now. Teasing endless future content that we aren't even inching towards is such a cash grab, how about announce it here when it's actually relevant. But wait, it's not relevant. It's tweaks to the same old game we've been playing, not content. Make this game better and stop trying to cash grab off the same basic game in as many ways as you possibly can. Don't you have enough milk from the players already? Just cut us loose or give us what we want, don't be grimy. Nepheisa, wellman029, Rygart and 5 others like this. Looks nice. Hopefully my toaster will still work. Neokii, Mal'Ganis, Poldarn and 3 others like this. Thanks but remastered or not it's still same game, what about Driegan ?? Rygart, Deadly_Poison, Evil Wood and 1 other person like this. i think we allready download it , all update are big and not many event. Please ask devs about support for 5.1 and 7.1. EckmanCA, Delusify, Rygart and 9 others like this. I hope you bring options to turn this **** off.... I'm not in the mood to buy a new computer. Anyway i never played games cause of the graphics, more cause the gameplay was good. Rygart, Fateneko and Soulo like this. Na/Eu parity with kr. When.? Soulo and Rubio like this. Who gives a ****? now your casino looks even prettier wohooo still has the same amazing shittier systems. Anyway, congrats you fulfilled my prophecy. I was right after all. SpiralEnergy, nethkhadar, Factorial and 2 others like this.